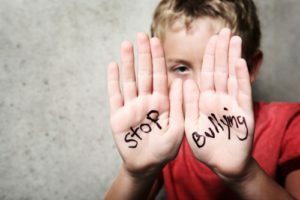 Two different schools of thought in the martial arts world (Karate and Taekwondo) both encourage taking active steps to help put a stop to bullying. Parents of bullies and victims should strongly consider enrolling their children in a martial arts academy. Willems teaches a Taekwondo class that shows kids defensive tactics in addition to how to best stand up themselves and speak to an aggressive bully. The thought is that by helping foster strong personalities amongst his students, bullies are less likely to view them as targets. Bullying has been pushed to the forefront of the news over the past few years in part because of the increasing number of instances, especially in schools. Bullying can be very disruptive and often is enough of a distraction to contribute directly to a student’s poor performance in the classroom. Martial arts students, however, are learning preventative measures they can take against the bullies in their schools. Students learn how to spot signs of bullying, what to do when confronted by a bully, and how to help other victims of bullying. Karate is similar to Taekwondo in that it is more than simply a sport to its students. It is an entire lifestyle. Karate America Chief Instructor Mark Quirk began a Bully Defense Seminar in hopes of effectively reaching out to more kids. In an interview with a local Fox reporter in Menomonee Falls, Michigan, he said that he tries to instill a strong sense of self-confidence in his students so that bullies have little or no power over their victims’ emotions. While many people are quick to point out that martial arts are inherently violent by nature, several studies found that martial arts actually do not promote violence in students. Alison Hendrie reported in Parenting Magazine that children in martial arts classes learn respect from teachers, exercise through workouts and social skills through interactions with their fellow students.